Join us this Saturday to celebrate this important milestone in Toronto’s cycling evolution. The Woodbine bike lanes represent the farthest east installation of separated bike lanes in Toronto, and when completed will provide a much safer north-south corridor for residents. 9:30am departure from our bike hub at AccessPoint on Danforth (3079 Danforth Ave). 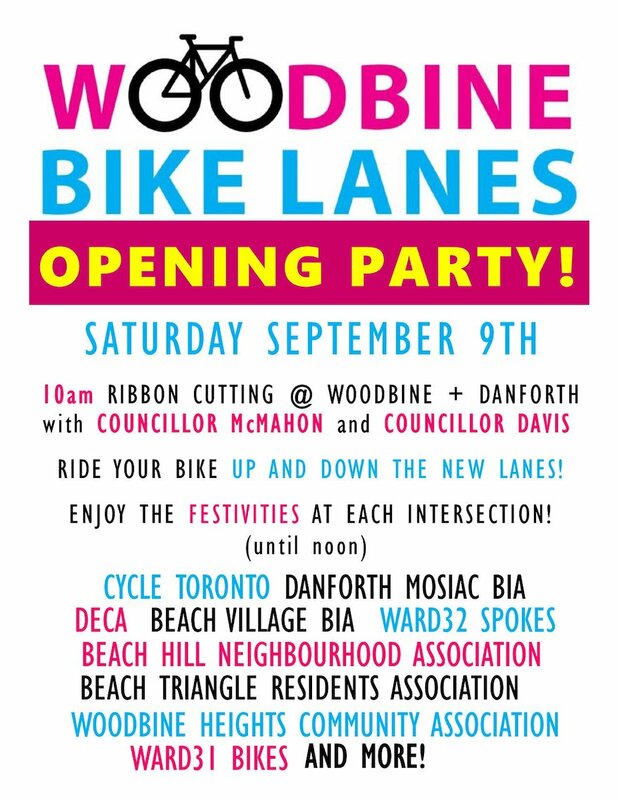 We will ride west on Danforth Ave. to Woodbine. NOTE: Our regular Saturday September 9, DIY Drop-In Bike Repair has been rescheduled for 11am-2pm.